The process, therefore, that clears the way for the capitalist system, can be none other than the process which takes away from the labourer the possession of his means of production; a process that transforms, on the one hand, the social means of subsistence and of production into capital; on the other hand, the immediate producers into wage-labourers. The so-called ‘primitive accumulation’ therefore, is nothing else than the historical process of divorcing the producer from the means of production. It appears as primitive because it forms the pre-historic stage of capital and of the mode of production corresponding with it. The economic structure of capitalistic society has grown out of the economic structure of feudal society. The dissolution of the latter set free the elements of the former. This well-known passage in which Marx outlines the essential meaning of the ‘so-called primitive accumulation’ is the key to a reading of those historical events which are the subject of our enquiry. 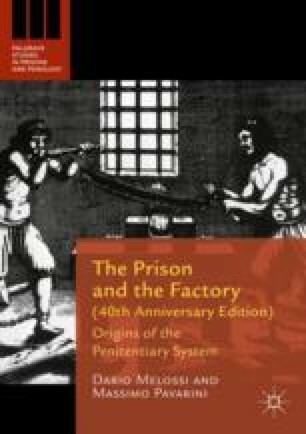 The same process, of divorcing the producer from his means of production, is at the root of a dual phenomenon: the transformation of means of production into capital; and the transformation of the immediate producer tied to the soil into a free labourer. The process manifests itself concretely in the economic, political, social, ideological and moral dissolution of the feudal world. The first aspect of the question, the creation of capital, does not concern us here. Rather it is the second aspect, the formation of the proletariat, that constitutes the more fruitful area of research.